Rooibos, scientifically known as Aspalathus linearis, is a unique product of South Africa. As a tea, Rooibos does not contain caffeine, but provides the energy-boosting benefits of many caffeinated beverages. Along with increasing your energy, Rooibos tea contains two strong polyphenols, which act as anti-oxidants to improve your health. All these benefits, plus a delicious taste, make Rooibos tea a great Monday-morning beverage or a nice warm tea to remove the stress of the day. 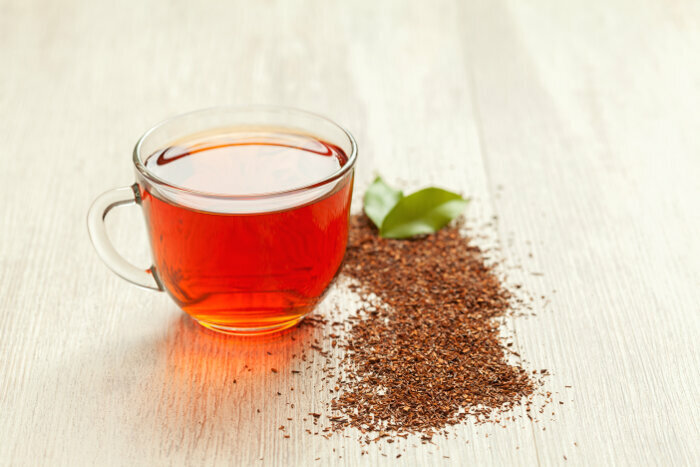 The Rooibos plant has been shown to contain the active ingredients of aspalathin and nothofagin, two powerful polyphenols which are shown to improve the body’s immunity and are cancer-fighting compounds. Green Rooibos tea, which is the unfermented type, contains higher amounts of aspalathin than the fermended Rooibos, which is more common. Nothofagin, is only found in Rooibos and the New Zealand Red Beech tree. Rooibos tea is made from the Rooibos plant, also known as redbush or African red tea. Rooibos, pronounced Roy-Boss, grows near Cape Town South Africa as the hot and dry summers, rainy winters and sandy soil are the perfect breeding ground for the plant. Rooibos tea is made from the dried leaves of the plant and is considered an herbal infusion. The natural amber color of the tea is brought out by the fermentation process and no added colors or preservatives are put into the tea. South African locals enjoy the tea hot with added milk, sugar or honey. Rooibos has a sweet and fruity flavor and can be blended with other herbal teas. The August 2015 issue of Cytotechnology,reports on the effectiveness of Green Rooibos as an antidiabetic booster. The study showed that the unfermented Rooibos enhanced glucose uptake and improved the transportation of glucose throughout the body. This is essential for diabetics who have difficulties absorbing and using glucose. Rooibos tea is not caffeinated, although it does boost your energy. The natural, antioxidant, energy-boosting drink can be enjoyed by your entire family and is also safe to be consumed during pregnancy, although you should always check with your physician before beginning any herbal supplementation program. It also appears to be safe for use during breast-feeding, but again, you should speak with your doctor first. >> Does Rooibos Tea Have Caffeine? No known side effects of Rooibos tea have been declared. Only one active ingredient in the herb, tannin, is identified in low amounts. Tannin is another polyphenol, but has shown to interfere with the body’s absorption of iron. However, Rooibos’s high levels of copper are shown to help the body absorb iron, so the tannin-interference is not one to fret over. 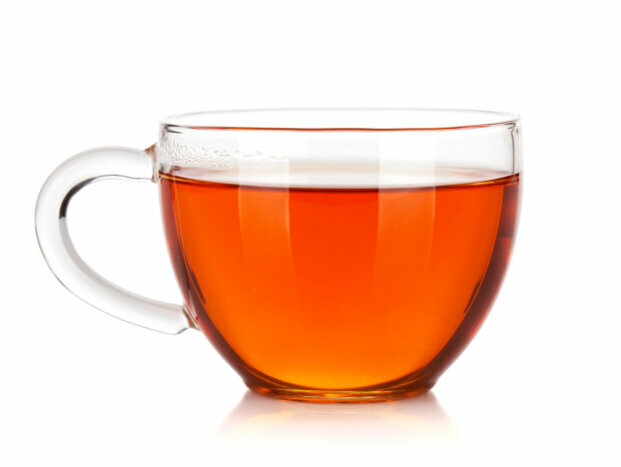 Rooibos contains high amounts of polyphenols. It also has high levels of the minerals iron, calcium, magnesium, manganese and zinc. The minerals work together to enhance the body’s ability to absorb the nutrients. For instance, magnesium increases the absorption of calcium. Nature has perfectly designed this herb to support a healthy body. Rooibos tea is available at many natural and health food stores. Since the beverage is becoming more commonplace, you may be able to find it in the natural section of your local groery store or in with other teas. Look for Rooibos as an ingredient added to other herbal teas. You can change the flavor of the drink by adding sugar, honey or milk, but keep in mind that these add calories, in an otherwise non-caloric beverage.